Head,arms and legs are soft silicone,body is cloth filled with cotton. Cloth doll body should not enter into the water. Hair: high temperature silk wig to cover, paste, smooth easy to comb. EYES: high quality acrylic eyes. Here is an adorable realistic reborn cuddle baby doll. He is 20” long. He has a soft cloth body for cuddling. His head and hair have been hand painted with genesis paints. He has bright blue eyes and long dark lashes. Please look at the photos carefully as they are part of the description. All sales are final. I do not cancel bids or auctions. Thank you for looking and good luck! 22" Newborn Baby Clothes Reborn Doll Baby Girl Clothes NOT Included Doll. Size:fit for the 20-22" reborn baby. Note: the reborn baby, blanket, bottle and the pacifier are not included. Just included the clothes, the reborn baby is not. Suit for OOAK, BJD dolls and 20"-22" Reborn Baby Doll. Reborn Doll Accessories. Full Vinyl Silicone Reborn Baby. Cloth Body Reborn Baby. Reborn Kits & Supplies. Material: Acrylic. Doll Bottle. Kids under 3 years old should be under the supervision of parents when they play with this toy. Size: approx 5 x 3.5cm or approx 2 x 1 1/4 inch Magnetic Dummy / Pacifier for Your Reborn Baby Doll Accessories. If it repels the magnet, just needs turning it over. The pacifiers are for dolls and the magnet is enclosed. You will need to add a magnet inside of your doll’s mouth for these pacifiers. This includes the 1 piece of magnetic Pacifier only. Please Note: They are not suitable for children and people with pacemaker due to the magnets. Realborn Condition is Used. M U S T SEE THIS DOLL, WILL MAKE U SPEECHLESS SO REALISTIC REBORN I EVER SEEN ! this doll will not also match to actual doll in person, bc. no matter what angle i am talking shots, wont shows even 50% of how it looks realistic. Realborn® Ana Sleeping (19" Doll Parts Kit). Condition is New. BIRTH CERTIFICATE. THIS IS NOT A DOLL . PHOTO IS USED AS A EXAMPLE OF WHAT KIT COULD LOOK LIKE WHEN PAINTED. Baby Atticus is a beautiful full bodied, anatomically correct, baby boy, from a limited edition, sold out sculpt by Laura Lee Eagles. HAND PAINTED REBORN ARTIST’S DOLLS. He has been hand painted in heat set paints, and has hand painted hair. MATERIAL: Silicone vinyl materials. the body is cotton. Filled with PP cotton. Joints of arms and legs are movable. The baby can sit, can lie, can't stand, can't speak, can't wink. New and High Quality. Size: approx 5cm x 3.5cm or approx 2 x 1 1/4 inches Dummy / Pacifier For Your Reborn Baby Doll. The pacifiers are for dolls and the magnet is enclosed. You will need to add a magnet inside of your dolls mouth for these pacifiers. this price including the 1 piece blue Magnet Pacifier. Fun toy accessory. you don't want to miss it. Please Note: They are not suitable for children due to the magnets. These are not toys. Brand/Artist Unbranded Brand Unbranded Doll Size 22in. Country/Region of Manufacture China Material Plastic,magnetic UPC 0701203256118 SKU MP05_Pink Colour Pink. This reborn dolls wear real baby clothes size"newborn" or "0-3 month". Q: Is this reborn baby is a boy or a girl?. A: This reborn baby is a boy, but has no gender feature, recognized by her outfits. Genesis Heat Set Sampler Paint Set. Genesis Heat Set Sampler Paint Set. Matte Varnish. Genesis Yellow. Glazing Gel. This is a great set for any new reborner. No portion may be copied or redistributed in any form. I've added just the right touches to make her realistic. Her blue eyes are glass, shes been painted in thin layers of high quality silicone paint, and rooted with fine mohair, from singing falls,for the soft new baby look. Magnetic Dummy / Pacifier for Your Reborn Baby Doll. This includes the 1 piece of magnetic pacifier only. The pacifiers are for dolls and the magnet is enclosed. You will need to add a magnet inside of your doll’s mouth for these pacifiers. 28" Reborn Toddler Lifelike Baby Silicone Vinyl Boy Doll Reborn Toddler Doll. 28" Reborn Toddler Boy. This doll is safe and non-toxic. This baby is 100% handmade. craftwork with hand painting. The baby can sit, can lie, can't stand, can't speak, can't wink. A Realborn® is a replica of a real baby. Body #647 is our preferred body for Johannah, but body #7542 will work as well. Kit includes Head 40mm 74mm N/A 14-15 647. Plugs Rings Eyes Wig Body #. Plugs and Rings are optional. Marcus by tamie williams, Vinyl Kit MARCUS by Tamie Williams. Please Note: You are not buying the finished doll, only the vinyl kit! 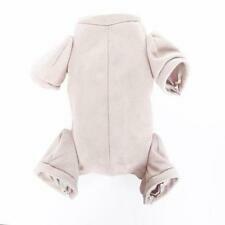 1pc Reborn Baby Doll clothes. Material: Gentle Touch Vinyl Head and Limbs. Condition: 100% new. Rate (item arrived). We ensure you that we will do what we can to solve the problem. if anything happens and makes you feel unsatisfied. June's hair has been micro rooted with singing falls premium curly blonde mohair. Her little nose has been shaded for added depth and realism. Her eyebrows have been hand painted brown to match her hair using very fine delicate wispy strokes. IVITA silicone reborn baby girl. 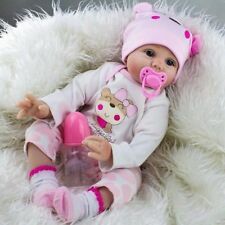 New Design Realistic Silicone Reborn Baby Girl can take a Pacifier in Mouth. She has to be the most beautiful baby you've ever seen! A: This reborn baby is a Girl. She can take a pacifier in her mouth, you can feeding her with a baby bottle. Introducing our first ever Realborn® toddler! Emmy has been captured in all of her sweetness at 18 months old. The real Emmy is Denise Pratt's granddaughter, and also the big sister of Realborn® Joseph. 1pc Reborn Baby Doll. Material: Gentle Touch Vinyl Head and Limbs. Condition: 100% new. We ensure you that we will do what we can to solve the problem. Rate (item arrived). Doll size : Approx. 22" Head to Toe. Doll weight: Approx 1.4KG. Hair : wig. Material： Vinyl and Soft cloth body. Vinyl Arms: 3/4 Length. Vinyl legs: 3/4 Length. You may also like. New and High Quality Doll size : Approx. 22" Head to Toe. Doll weight: Approx 1.4KG. Material： Vinyl and Soft cloth body. neutral or. We will provide you service as best as we can, cause the. is what we are striving for. THIS IS NOT a finished doll-PLEASE READ DESCRIPTION!!!! Hair: mohair rooted and naturally similar baby hair, can be wash and comb like a real baby. Head: the head simulation of reborn doll is a real baby size, very cute. Can demonstrate the characteristics of newborn babies. Introducing the sweetest little baby girl Honey by sculptor Donna RuBert. Honey has a realistic biracial complexion with mottling, shading and blushing. She is secured with zip ties and has a doe suede doll body with 3/4 arm and full leg limbs. People have always been fascinated by both babies and dolls. The art of taking traditional vinyl dolls and making them more realistic brings the two together. Welcome to the world of reborn dolls and the array of accessories and clothing that make them so special. Reborn dolls are manufactured dolls that have been transformed to look more realistic. The dolls are also known as lifelike dolls or reborn baby dolls. Sometimes, the baby dolls are so lifelike that they have been confused with real babies. Who are reborn dolls for? Art doll collectors: Many people collect dolls, and these lifelike baby dolls are a specialty niche. Baby lovers: Some people just enjoy having a baby around, and empty-nesters may choose to have a reborn baby made in the likeness of their own child. In those scenarios, the dolls are called portrait reborns. The elderly: The use of baby dolls to comfort the elderly is not new, but use of a reborn baby takes this therapy to a new level. Often, patients are soothed by holding these lifelike babies, and the size and weight often help elicit memories. Parents who have lost a child: No one suggests that these dolls can replace a real infant, but sometimes a reborn baby can help in the healing by providing physical relief. Children: Although reborn artists don't generally do their craft with children in mind, the dolls can still be appropriate with supervision. What are reborn doll kits? A reborn baby can be created from a whole manufactured doll or a kit. When newborning from a kit, an artist begins the process, and the kits come with a baby doll that's already disassembled. The customer can then use the included supplies or supplement with their own. Many times, the reborners can choose from a selection of body parts and skin tones to customize the contents of the kit and make a unique doll. How do you make a reborn look realistic? Aside from the quality of the reborn itself, there are a few characteristics that make a big difference. Size: The size of your reborn is important. Obviously, the original vinyl doll is a factor, but size can be adjusted with a cloth body. Clothing: This is an important part of a realistic reborn. Choose high-quality, real, baby clothes to add authenticity. Be sure to add shoes, hats, or seasonal items that are size-appropriate for your reborn. Accessories: Adding things like pacifiers, bibs, or other baby accessories help make your reborn lifelike.